Seven projects and plans, ranging from a new village center in Byram Township to a creative inter-municipal affordable-housing project in Woodstown Borough and Pilesgrove Township to an innovative recy cling facility in Woodbridge, have been selected to receive 2011 Smart Growth Awards from New Jersey Future. 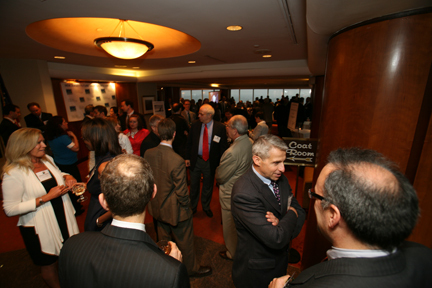 Since 2002, New Jersey Future has honored more than 60 projects with Smart Growth Awards. Winners are selected from a statewide public nomination process by an independent jury of professional developers, architects, planners and redevelopment experts. As the first chairman of the State Planning Commission, James G. Gilbert was a driving force behind the initial adoption of the State Development and Redevelopment Plan in 1992. He is the 2011 winner of New Jersey Future’s Cary Edwards Leadership Award. 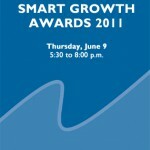 New Jersey Future will celebrate the 10th anniversary of the Smart Growth Awards with a reception at the Newark Club on June 9. In addition to the seven Smart Growth Award-winners, New Jersey Future will honor former State Planning Commission Chairman James G. Gilbert, a longtime member of the organization’s Board of Trustees, who will receive the Cary Edwards Leadership Award for his quarter-century of tireless advocacy for smart growth. Bailey Corner is a creative inter-municipal project that came about through the collaboration of two Salem County towns, blending an older, compact neighborhood in Woodstown Borough with newer commercial development in Pilesgrove Township. Cherry Hill-based affordable-housing developer Ingerman and Haddonfield architectural firm haley.donovan advanced the project, which connects with and enhances the character of its surroundings while meeting both towns’ affordable-housing obligations. Bayshore Recycling Complex, a partnership between Bayshore Recycling Corporation and Woodbridge Township, brings together brownfield redevelopment, advanced recovery of materials through recycling and sustainable operations powered by renewable energy. When build-out of its 15-year development plan is completed, Bayshore, which occupies a 52-acre waterfront site in the heavily industrial Keasbey section of Woodbridge, will operate 100-percent “green” businesses powered by 100-percent renewable energy. Byram Village Center—a collaboration of Byram Township, the New Jersey Highlands Water Protection and Planning Council and Heyer & Gruel Associates—is an innovative development plan that will establish a mixed-use town center for Byram Township that addresses the Sussex County township’s affordable-housing obligations and protects the significant natural resources along a scenic tributary of the Musconetcong River. A collaboration of HHG Development and the New Jersey Housing and Mortgage Finance Agency, The Cracker Factory converted a deteriorated storage warehouse in Trenton into a mixed-income housing project of 18 one- and two-bedroom lofts that preserves the historic character of the building and its surrounding neighborhood. Duke Farms, a 2,700-acre estate in Hillsborough, is being transformed into a regional environmental center offering greater public access and educational programs with a focus on land stewardship and sustainability. The Duke Farms Foundation went through an exhaustive planning process, taking stock of its resources, working with state, federal and local conservation organizations, reaching out to local communities and other public gardens to assist in the development of a new vision for the property. The Barbara W. Valk Firehouse Apartments occupy a site in downtown Madison Borough that was the original home of the Madison Hook and Ladder Company. Through a collaboration of Madison Borough, the Madison Affordable Housing Corporation and Madison Housing Authority, the old firehouse gave way to a four-story, 12-unit apartment building that houses very-low-income senior citizens. The Hoboken Housing Authority Vision 20/20 Plan calls for the transformation of Hoboken’s World War II-era public housing, concentrated on a 17-acre site in the southwestern portion of the city, into a sustainable, transit-oriented, mixed-use, mixed-income neighborhood. Together with Marchetto Higgins Stieve Architects and Planners, the Hoboken Housing Authority devised the plan to replace the city’s outdated public housing stock with new affordable and market-rate units, financed through public and private investment spurred by rising property values in the surrounding residential neighborhoods. For detailed descriptions of this year’s and previous winners, as well as additional information about the June 9 Smart Growth Awards celebration, please visit the Smart Growth section of our website.